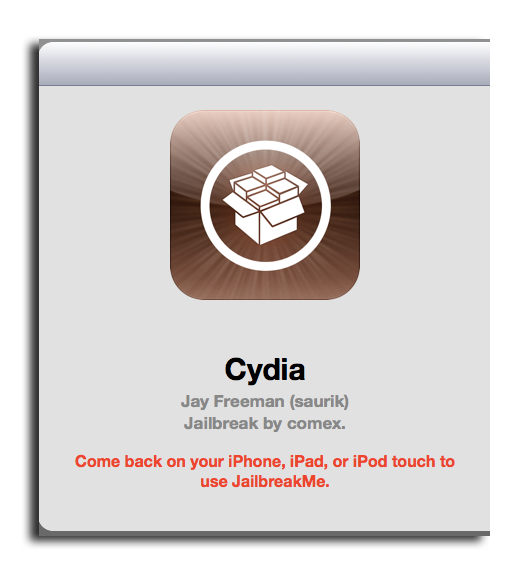 The hack can be accomplished by visiting the website jailbreakme.com on an iPhone, iPad or iPod touch. It is compatible with all of Apple's current iOS-powered mobile devices, including the iPad 2 and iPhone 4. The hack was developed by "comex," Grant "chpwn" Paul and Jay "saurik" Freeman, and is compatible with iOS 4.3 through 4.3.3 on all iPads, the iPhone 3GS, GSM iPhone 4, and third- and fourth-generation iPod touch. It also works with iOS 4.2.6 through 4.2.8 for the CDMA iPhone 4.